If you’ve ever been discouraged by Christianity—whether you’ve been a lifelong churchgoer or someone who left religion a long time ago—this book will change your life. God only spoke twice while Jesus was on earth. (We should probably sit up and pay attention.) Both times He said: Jesus is “marked by my love.” No tattoo. No handshake. No team colors or logos or code words. The only thing that marked Jesus Christ and the only thing that would mark His followers—love. How would I treat someone who I disagree with in a political discussion if I ran everything I said through a filter of love? How would I care for someone who is contemplating an abortion if I were marked by His love? How would I help a friend going through a divorce if I really loved him and his family? 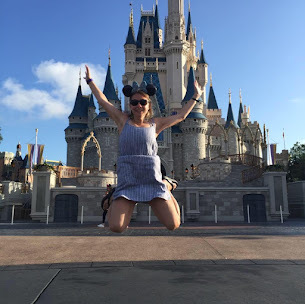 What would be different about my social media posts or comments if I really loved the people I was responding to or writing about? How would I show love toward the gay couple that moved in next door if I was actually following in Jesus’ steps? How would I treat the Hispanic family who I think may have crossed the border illegally and are living off government welfare if I were marked by his love? How would I respond to the homeless guy begging on the curb in a loving way? This is real life stuff. If every follower of Jesus was truly marked by love, it would change the world. I had the opportunity to meet Tim Stevens at a Push Pay conference in Seattle, so when the opportunity to review his book had come across my email, I was thrilled at the sight! Not your typical Christian nonfiction book, “Marked by Love” truly stands out in a culture that is look for truth in love. Tim writes with such deep truth and wisdom that every reader will leave changed. My book is completely marked up by the things that he says and writes with pen and highlights. 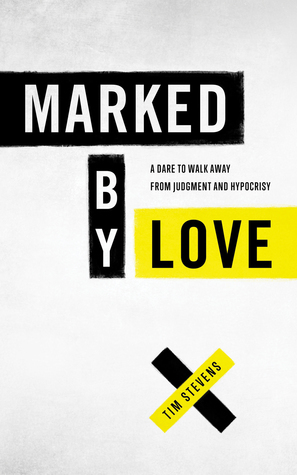 I found "Marked by Love" to be challenging, thought-provoking and inspiring. It will challenge your views, and help you to explore them in innovative ways. Tim breaks down cultural barriers and uses the model of compassion to do so. I really enjoyed this book! Lets us all be marked by love in all that we do! I highly recommend this book. Grab your copy today! You'll enjoy reading this book.